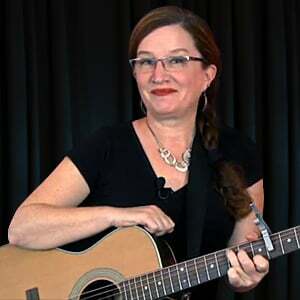 In this set of lessons, we'll work together to speed up your chord changes right along with a steady beat, in the key of E.
We'll use just a very simple strum, so that you can really focus your attention on your left hand and the job it has to do. We'll start off with four strums per chord, before switching to the next. From there, we'll go to just two strums per chord. And from there, guess what? That's right, just one strum per chord! The best way to work with this exercise is to try to stay with the difficulty level that provides you with a good challenge, but does not leave you in the dust. 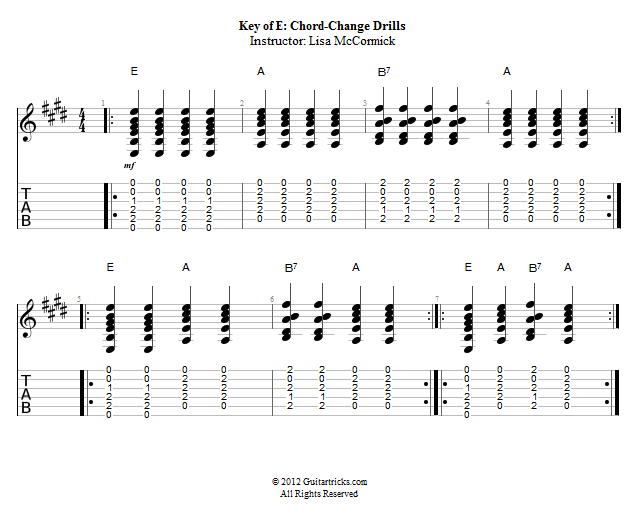 If 4 strums per chord is challenge enough, that's great. just stick with that for now. When you're ready to ramp up the difficulty level, go ahead and do so. Also, be sure to work in each key if you can, even at the most basic level.